The Toronto Atmospheric Fund (TAF) is a city-owned agency that provides grants, makes loans, undertakes special projects, and creates partnerships to facilitate action on climate change. 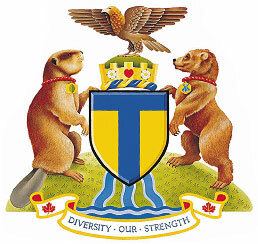 TAF helps advance Toronto’s community-wide greenhouse gas and air pollution reduction targets. With more than 80% of its endowment invested in projects that have positive climate impacts, the fund is increasingly acting as an “impact investor,” mobilizing public and private capital towards investments that are not only financially sound, but socially and environmentally conscious. The fund’s investment returns have covered all TAF program expenses, at no cost to the taxpayer, since its establishment 25 years ago. TAF targets the transport and building energy sectors, as they are responsible for 41% and 48% of Toronto’s CO2 emissions, respectively. To unlock the significant local energy efficiency investment opportunities in buildings, TAF launched Efficiency Capital Corp. in 2015. This private venture will fund efficiency investments in Toronto’s building stock and raise up to $75 million in capital through third-party investors. To address transportation energy use, TAF funds a collective impact initiative called Move the Greater Toronto and Hamilton Area, consisting of 12 diverse civic groups who leverage provincial support for local transit. In 2014, their efforts helped secure a public commitment of almost $11.3 billion over 10 years for regional transit investments. 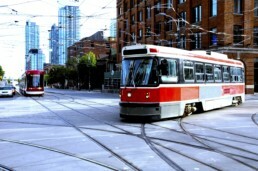 Two of Toronto’s largest GHG reduction opportunities – investment in energy efficiency and public transit – face major barriers due to competing capital needs in a city juggling multiple priorities. Establishing a permanent fund to address this long-term issue proved a solution to reduce emissions, improve air quality, and save the city $41 million in energy costs. Economic Every $1 million spent on energy efficiency retrofits in Ontario generates a net increase of $2.4 million in provincial GDP, and a net increase in employment of 17 person-years. Health Toronto has reduced premature deaths related to air pollution from 1,700 to 1,300 within 10 years, due largely to the phase-out of coal-fired electricity. TAF funded research and advocacy to support the coal phase-out over a 10-year period. Social TAF’s “Climate Spark” initiative supports social ventures that offer significant greenhouse gas emissions reductions and pair a social and commercial mission with service to the broader community interest.